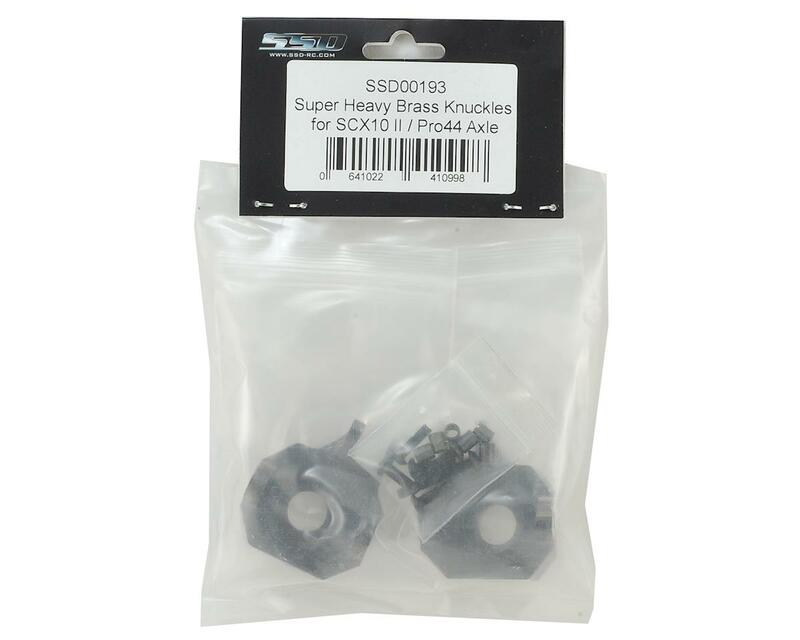 SSD SCX10 II Heavy Brass Knuckles are compatible with the stock SCX10 II AR44 axle housing, as well as the optional SSD Pro44 Axle. Weighing in at 70 grams each, these knuckles offer up a 140 gram weight gain for improved front/rear weight balance. Plus, the gun metal grey finish delivers a scale look that cannot be matched by raw brass material. Installed my second set. Perfect fit on the Pro44 with stock C-hubs and the Vanquish Currie axle. Hevy weight, no issues with wheels. Very nice parts. Used some silicone grease spray to install the inner bearing. Slides right in. My left knuckle is causing a bind and SSD is saying that it can not possibly be their problem. 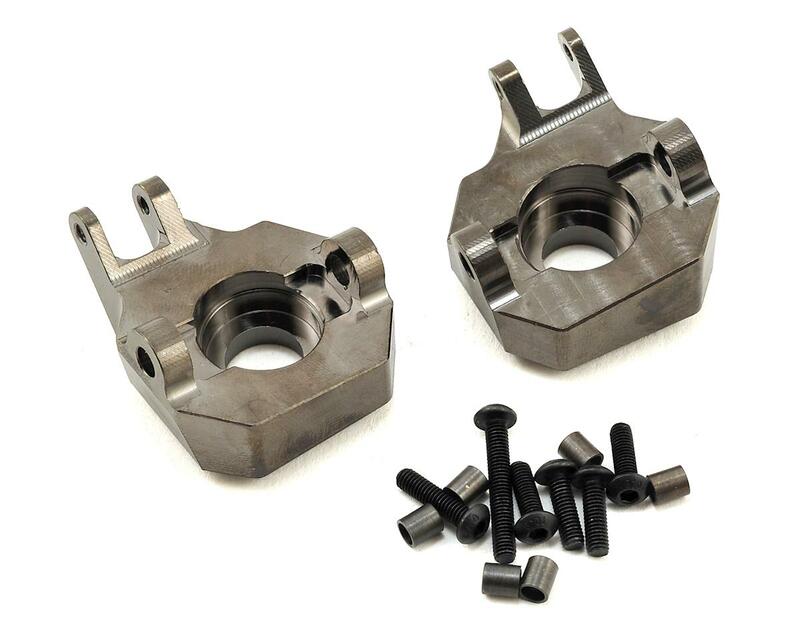 My stock hubs work perfectly and when I install these my left side is in a bind. Avoid these because if you have a problem with them the manufacturer will not even consider that the problem lies with their workmanship.